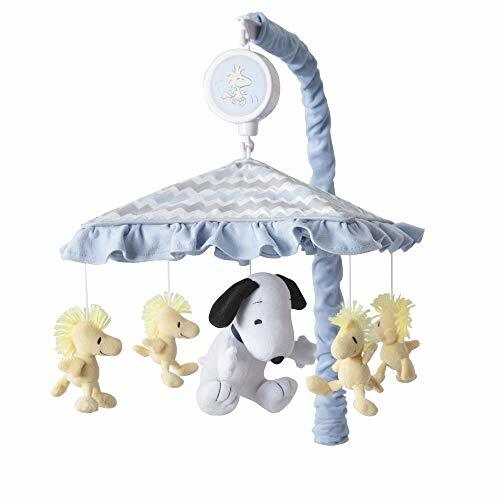 Snoopy is surrounded by his loyal companion Woodstock twirling slowly to the music of Brahms' Lullaby under a chevron patterned canopy. Contains a coordinated blue cover for the mobile arm, and safely fits all standard and most convertible cribs. An optional wall mount is included to provide placement options. Easy to follow assembly instructions are included.